The CMA Conveyor Certificate Course is to totally familiarise candidates with conveyors in all aspects, but is not a design course. It is intended for Artisans, Draughtsmen, Junior Sales people Engineers, Apprentices and all technical persons finding themselves in a situation where they are employed in a capacity where conveyors are used. Introductory course on splicing of textile reinforced conveyor belting is aimed at educating supervisors and other overseers of the do’s and don’ts’ of best practice to achieve successful splices that will last! Splice failures are not only a safety issue but they cost industry millions in damage to the belt and structure, and of course, in downtime. Getting the splice right the first time is key. 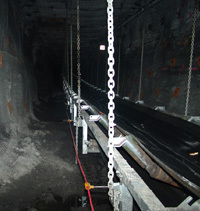 The CMA Beltsman Certificate Course is to totally familiarise candidates with procedures applicable to looking after the belting on the conveyor. 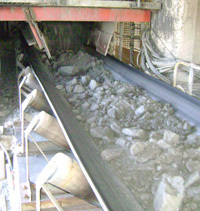 No conveyor splicing is covered with the exception of mentioning the methods used to join different belts, and no design is covered. A lot of effort is spent on tracking and training of the belt and prevention of spillage. This three-day course is held in conjunction with CMMS at WITS and is presented by leading Australian and South African practitioners in chute design. 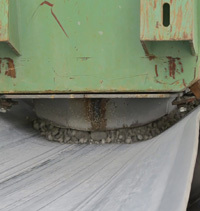 Calculation of bulk materials trajectories, velocities and pressures, interpreting the comprehensive bulk solids report and applying results to equipment design, single particle analysis, shear properties, aspects of material properties and flow tests are all covered. 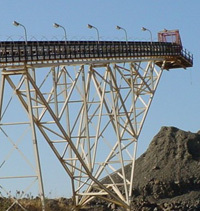 An intensive course on how conveyors operate and how their various components are designed. Features include a thorough understanding of all the components of a conveyor, solving common problems, avoiding pitfalls, idler and pulley selection, catalogue selection of motors, reducers, and couplings with the main emphasis on the design of the conveyor system. A one-day course on the theory of splicing for experienced splicing teams. 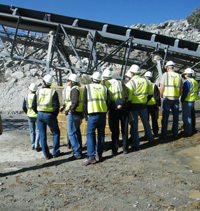 This course is best done on site at the Contractors offices, but could just as easily be arranged at a neutral venue.